Legendary Chicago Cubs third baseman Ron Santo died Thursday night in Arizona due to complications from bladder cancer. He was 70. The third baseman played 14 of his 15 major league seasons for the Cubs is regarded as one of the best third basemen in major league history. Santo win five consecutive Gold Gloves from 1964-1968 and was selected to the All-Star team nine times. Santo was the first player to openly admit to playing with diabetes. Santo later in life had both of his legs amputated due to complications from the disease. He became a champion for juvenile diabetes donating countless time and money to spreading the word to youngsters afflicted by the disease. A beloved figure in Cubs history, Santo became a radio broadcaster for the Cubs in 1990, opening up a new generation of fans to Cubs baseball and its history. A public visitation will be held at 4 p.m. on Dec. 9 at Holy Name Cathedral with the funeral Friday at 10 am. 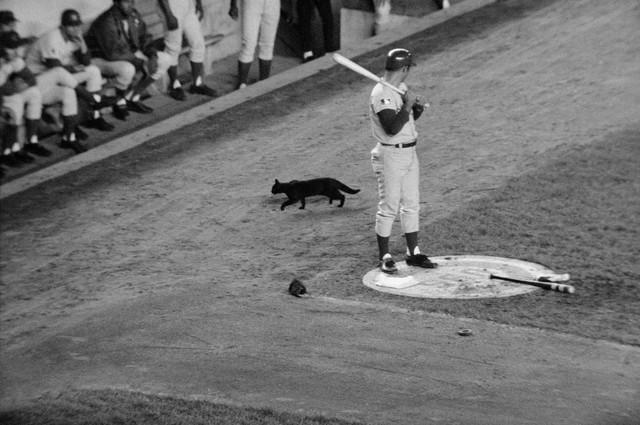 God Bless Ron Santo and his family. It is a shame that Ron so far has not been elected into the HOF. Memories are sadly short with the legacy of some great some players. I was not a Cubby fan, but when the Cubs came to town with that formidable line-up that included HOFamers Billy Williams and Ernie Banks-- there was Santo sandwiched in between them in the clean-up spot driving in runs, hitting homers and making great plays at third. They never won a championship, but they were dreaded when your team was in contention and they came to town. Ron Santo during his career was considered one of the best players in the game. A nine-time all-star, a great fielder winning multiple golden gloves, a very feared power-hitter who hit for a decent average. Most amazing of all Ron accomplished all this while dealing with diabetes and during his playing days said nothing about it. What would Ron have accomplished if he hadn't had diabetes? He may have found himself closer in stats and accomplishments to another great third baseman Mike Schmidt. All in all, Santo's stats and accomplishments should have been enough to take him over the top. For example, Bill Mazeroski, a great player, was largely voted into the HOF due to his amazing fielding skills. Santo was along with Ken Boyer the best third-baseman in the NL and a step or two behind the amazing Brooks Robinson and Clete Boyer. His hitting and fielding combined, let alone his courage should have and should still earn him a place in the HOF. God Bless a great player, and man of enormous heart and courgage.